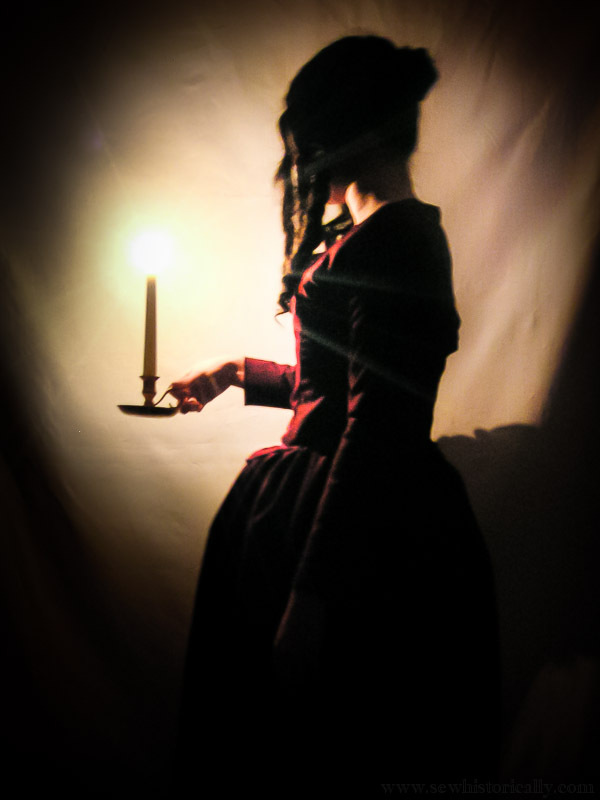 This is my first historical costume that I made many years ago: an 1840s day dress! It’s called a day dress because this type of dress was worn in the daytime. 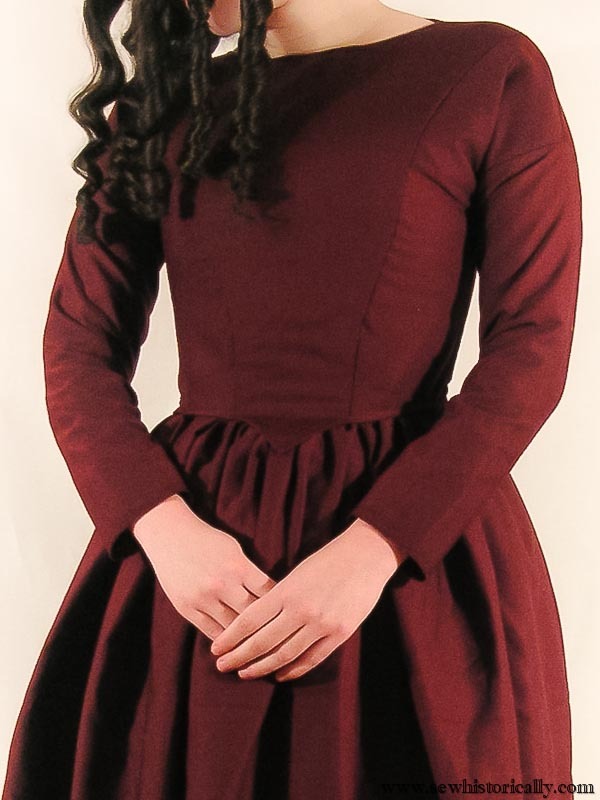 For the 1840s dress I used a maroon fabric from my grandmother’s stash. There was just enough for the Victorian dress: I had to do some piecing but it’s almost invisible. 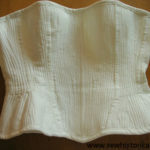 But fabric piecing, even visible piecing, was common in the Victorian era. 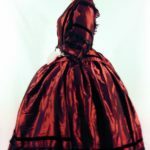 The color is suitable for an early Victorian dress but it’s a poly fabric and the dress isn’t handsewn – so the 1840s day dress isn’t historically accurate! 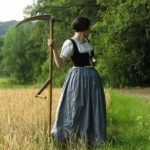 I didn’t use a pattern – not even a self-drafted one! The skirt is just a rectangle and the sleeves are basically rectangles too. 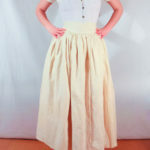 The dress has a wide round neck – typical for 1840s dresses. The bodice of the 1840s day dress has sloped shoulder seams, a V-shaped waist – both popular in the 1840s and 1850s – and is shaped with princess seams. 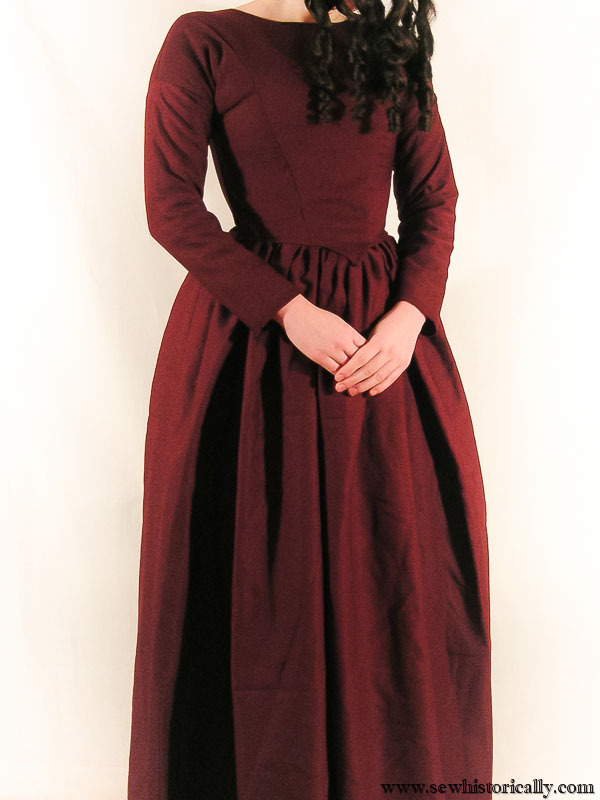 The 1840s day dress closes at the back with spiral lacing and hand-sewn eyelets. Here’s an 1848 dress with back lacing closure, and a 1844 painting of a similar 1840s day dress. I’m wearing my hair in curls. These type of curls were called rag curls or sausage curls in the Victorian era. Rag curls were very popular in the 1840s to 1860s. The woman in this 1840s photograph at the MET wears rag curls too. 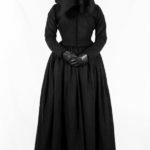 PS Just thought of something–I should have historical day dresses to wear when I’m cooking my historical foods!